Frigidaire Ffhn2750td 27.6 Cu. 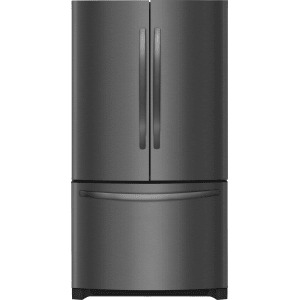 Ft. French Door Refrigerator Aeur" Black Stainless from Sears. ways, providing a unique interior organization solution for your kitchen. Discover how Frigidaire's genuine filtration works to keep your water cleaner. PureSource Ultra II Water Filters remove 99.3% of lead and 99.9% of cysts from your household water. Color: Black Stainless.